“Ideals may tell us something important about what we would like to be,” the political philosopher Avishai Margalit writes. “But compromises tell us who we are.” If that’s right, the inability of Congress today to reach compromises on nearly every consequential, long-term problem facing this country tells a lot about who we have become—or at least who some of us have become. When old practices of political compromise break down, it is not necessarily true that everyone is equally responsible. Margalit’s book is an inquiry into the limits of justifiable compromises, not in ordinary democratic bargaining but at times when agreements call on us to accept inhuman regimes for the sake of peace. Examples drawn from World War II—Munich, Yalta—occupy much of Margalit’s analysis. Amy Gutmann and Dennis Thompson are political scientists, and their book is primarily concerned with contemporary American politics. They try to explain why compromise has broken down and offer a series of proposals to bring it back. Together the books provide grist for thinking through the difficulties of compromise in both foreign policy and domestic policy, from tragic choices at desperate moments of history to the routine nastiness in American public life today. Compromise, as Margalit says, is inherently an “ambivalent concept,” positive in its signal of cooperation and negative in its signal of a betrayal or watering down of high principle. When asked about compromise, people may lean one way or the other depending on the context and the particular examples that figure prominently in their minds. In 2007, a Pew Research Center national survey, cited by Gutmann and Thompson, found that on many issues “openness to compromise is inversely linked to the importance people place on the issue.” In other words, we may be happy to see politicians compromise on issues that concern someone else, but we do not want them to compromise on the issues that we care about. This understandable tendency would make most of us hypocrites if compromise were an ultimate value like justice. But it is entirely reasonable to think of issues according to a hierarchy of moral concern, and to resist concessions on matters we believe to be of the greatest importance. And yet intensity of commitment complicates democratic politics. Where moral passions run deep, compromise is likely to be difficult. TWO HISTORICAL CASES illustrate how Margalit goes about applying his criteria. Slavery unquestionably represents a regime of cruelty and humiliation, and by 1787 abolition was a live option. (Margalit says compromises can be judged only against real historical possibilities.) But Roger Sherman’s Great Compromise at the Constitutional Convention helped to protect slavery by amplifying the power of the slave states in two ways: the equal representation of states in the Senate and the counting of slaves as three-fifths of a person for purposes of apportioning the House. The Constitution also provided for the recovery of fugitive slaves and prohibited Congress from banning the importation of slaves before 1808. So was the Constitution a rotten compromise? Margalit acknowledges that the Constitution may ultimately have done more to undermine slavery than to maintain it. At the time, moreover, many of the Founders believed that slavery was on the way out for both economic and moral reasons; they could not have anticipated that the invention of the cotton gin would soon lead to slavery’s expansion. Margalit also amends his categorical rule, accepting rotten compromises if they shorten the duration of an inhuman regime to less than the lifespan of one generation. But the provision regarding the importation of slaves did nothing for those already enslaved—it didn’t even prohibit the slave trade as of 1808—so the Constitution fails that test. Offering only “a way of thinking about the question,” not a “definite” answer, Margalit concludes that slavery was a “huge cockroach” in the Constitution. 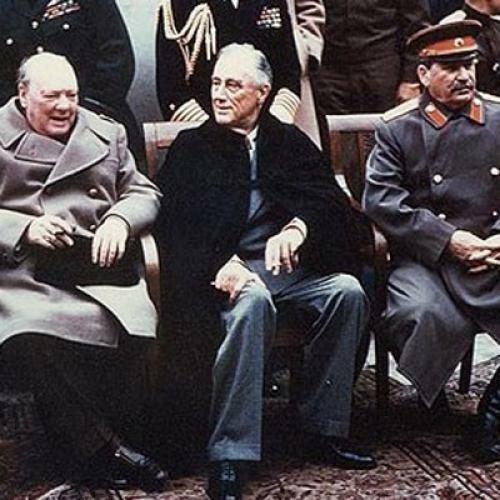 At Yalta in 1944, anticipating victory over the Nazis, Churchill and Roosevelt tacitly agreed to the forced re-patriation of prisoners of war and civilian refugees from the Soviet Union. The code name for the transfer, Operation Keelhaul, strongly suggests that British and American authorities knew what Stalin had in store for the two million people to be forcibly returned: “keelhaul” was an old practice of the British navy in which victims were hauled by rope under ships, with little hope of survival. Margalit is firm that the overall aim of the Yalta agreement to bring about the Nazis’ unconditional surrender was “morally right,” but he believes the Western allies could have resisted the Soviet demand for forcible repatriation or at least cut short Operation Keelhaul, which continued until 1947, by which time there was no excuse for it. Here was another huge cockroach, another ruined soup. GUTMANN AND THOMPSON are not prepared to draw any unconditional lines against unacceptable compromises. Their general maxim is to favor compromises that are an improvement over the status quo; a mere cockroach would not necessarily deter them from eating a bowl of soup as long as the soup was better than any other available meal. Criticizing Margalit’s argument, they note that he allows some rotten compromises that last less than a generation, but why impose so arbitrary a cut-off? Surely other compromises deserve support that would ameliorate inhumane conditions or reduce an inhumane regime’s prospects for survival. At most, they say, Margalit offers a guide or a directional signal for compromise rather than an absolute rule. They concede that their own maxim favoring compromises that are an improvement over the status quo also has exceptions: for example, a compromise that improves conditions might be rejected because it would block a better improvement later on. Gutmann and Thompson are right that there is an element of arbitrariness in Margalit’s one-generation limit to rotten compromises, but their own unwillingness to set clear boundaries also has its drawbacks. A statesman who absorbs Margalit’s strictures should tremble at the thought of signing an agreement that even passively allows an inhumane regime to continue. Gutmann and Thompson’s open-ended criteria do not instill any sense of the forbidden, of taboo trade-offs. Their “spirit of compromise” is a wholesome spirit, never a craven one. That may be partly because their frame of reference is ordinary legislation in a constitutional democracy, and on that subject what they have to say is more useful. In this connection, they draw upon the ideas that John Stuart Mill developed about compromise through his experience in Parliament. In Gutmann and Thompson’s rendering, Mill believed that a compromise is “morally defensible insofar as the time is not ripe to realize the measure your own side prefers, your opponents’ position contains something worthy, the agreement would not set back progress already made, and it would facilitate future cooperation.” In addition, a “compromise should ‘embody or recognize’ the principle that you are trying to realize, even if it falls short of doing so.” The approach to compromise favored by Gutmann and Thompson calls for “principled prudence,” mutual respect, and a variety of methods for “economizing on disagreement,” such as restraining rhetoric—all reasonable and constructive ideas. Until recently, who would have thought it necessary to offer Americans advice in the ways of compromise? We used to enjoy a reputation for being a practical-minded people, our politicians being regarded as an all-too-flexible species. But something has changed, and according to Gutmann and Thompson, the change has to do with the relation of campaigning and governing. During campaign season, they say, an “uncompromising mindset” is understandable, but it should give way to a “compromising mindset” when elections are over. But campaigning now spills into the season of governing, and the result is a persistent failure to reach agreements. Compromise has also become more difficult because the two major political parties have become ideologically polarized. Gutmann and Thompson take no position on whether polarization affects only political elites or also the mass public, nor do they single out either party as being more responsible than the other for the trend. This is a bit too even-handed. As Jacob Hacker and Paul Pierson showed in Off Center: The Republic Revolution and the Erosion of American Democracy, polarization has been asymmetrical: Republicans in Congress have moved further to the right than Democrats have moved to the left. While the GOP has been busy removing moderates from its congressional ranks, the Democrats remain more heterogeneous. In the past decade, Congress has included more Democrats willing to compromise when Republicans are in power than Republicans willing to compromise when Democrats are in power. THESE FINDINGS may reflect a basic difference in outlook. The Republican Party has become the home of the religious. Not only are more of its voters regular churchgoers; they approach politics from a perspective that is religious in the sense that Margalit uses. Many issues are not negotiable. Taken over by its right wing, the Republican Party has little interest in the kind of compromises that its party leaders used to make—compromises in limiting pursuit of a liberal agenda. Liberals are naturally more likely to approve compromises of that kind as improvements over the status quo. But there is a dark side to compromise that comes out more clearly if we think about the net result of a long chain of compromises in national policy, instead of evaluating one case at a time. Consider two areas of policy, taxation and health care, that Gutmann and Thompson bring up repeatedly. Their example of a great compromise on tax policy is the Tax Reform Act of 1986, which cut the top marginal tax rate from 50 percent to 28 percent. The law was supposed to simplify the tax code, but the complexity has since crept back, while effective tax rates on the upper brackets remain low. In retrospect, the 1986 legislation was one of the key steps in national policy contributing to increased income inequality. Health policy might have become an area of bipartisan compromise in 2010. By relying on tax credits, insurance exchanges, and an individual mandate to expand coverage, the Affordable Care Act followed a model many Republicans once endorsed. But the final passage of the law came without a single Republican vote, and only because Democrats resolved to enact it on their own. When viewed broadly, the history of health policy does not provide much of a case for the virtues of compromise. Step by step, the United States has created the most complicated and expensive system in the world. In 1954, Congress codified a special tax benefit for people with employer-provided insurance. The great compromise of 1965 produced Medicare’s hospital insurance plan on one basis, Medicare physician coverage on another, and the Medicaid program—Representative Wilbur Mills’s famous “three-layered” cake, with all too much frosting on the top for the healthcare industry. Later compromises gave us a Children’s Health Insurance Program and a prescription drug program for seniors. Add in a myriad of private plans, and it is no wonder that administrative overhead runs so much higher in health care in the United States than in countries with a more coherent framework of national policy. In both health policy and the tax code, then, compromise has been the mother of complexity and unfairness. Make no mistake: I am in favor of compromise. We have no other choice. The problem I see is not that our politicians lack a compromising frame of mind. It is that our political institutions—with all their many veto points, not least of all the anti-majoritarian Senate, with its anti-majoritarian filibuster—demand too much compromise. In the past, the many obstacles to legislation led to complex compromises, often Christmas trees laden with special-interest giveaways. Today, in a more polarized era, the same institutional obstacles lead to stalemate, except that here too American politics may not be symmetrical. When George W. Bush became president in 2001, many observers said that since he had lost the popular vote the previous November, he would obviously have to compromise with the Democrats and follow moderate policies. Bush did nothing of the kind, passing a massive tax cut that has defined the outer limits of the possible in domestic policy for more than a decade. Gutmann and Thompson assert that Republicans and Democrats will have to compromise after 2012, but if Republicans win control of both Congress and the presidency this November, they may be no more likely to compromise than Bush was. A Republican victory would also consolidate conservative control of the Supreme Court for years to come. That would make it easier to entrench uncompromising right-wing policy, and this prospect may be why conservatives rationally resist settling for anything less. Mitt Romney has pledged that he would not only continue the Bush tax cuts but also reduce taxes further. In addition, he has said he favors repealing the Affordable Care Act and turning Medicaid into a block grant, which would eliminate the rights that low-income beneficiaries now enjoy under federal law. Republicans, in fact, could do most of this under budget-reconciliation rules that require only a bare majority in the Senate. No doubt Democrats will be asked to sign on to these changes in the “spirit of compromise.” I hope the spirit fails them. Gutmann and Thompson end their book with recommendations to strengthen the spirit and practice of compromise. Members from both parties in Congress should socialize together; terms in the House should be lengthened; fundraising in Congress should be prohibited between January and June every year; primaries should be opened on a nonpartisan basis to all voters; the media should focus on policy-making strategies rather than election strategies; civic education emphasizing compromise should have a higher priority. As I read these proposals, I was reminded of a line quoted by Margalit from William Ralph Inge: “It is useless for sheep to pass resolutions in favor of vegetarianism, while the wolf remains of a different opinion.” Margalit adds that the wolf should be worried because the sheep’s resolutions may matter “in the long run,” which is why I support most of Gutmann and Thompson’s proposals and have even made some vegetarian recommendations myself. But such things take a long time. Meanwhile we had better be prepared to deal with the wolf. Paul Starr is professor of sociology and public affairs at Princeton University. He is the author, most recently, of Remedy and Reaction: The Peculiar American Struggle Over Health Care Reform (Yale University Press). This article appeared in the May 10, 2012 issue of the magazine.